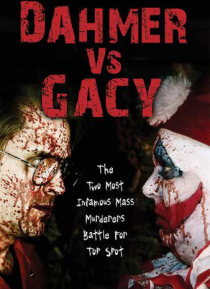 A secret government lab run by Dr. Hess (Art LaFleur) has been trying to create the ultimate killer using the DNA of infamous killers Jeffrey Dahmer (Ford Austin) and John Wayne Gacy (Randal Malone), but there's one big problem: they've escaped! Bloody mayhem stretches across the United States as they go on the ultimate killing spree. Trying to stop the maniacal madness is Ringo (Ford Austin), a h… ick warrior being trained by God (Harland Williams), using only a shotgun and a bottle of whiskey. In his road trip to hell, he must first fight off his own demons, not to mention an army of Japanese ninjas and a Super-serial killer (Ethan Phillips)! It all leads up to the ultimate showdown!